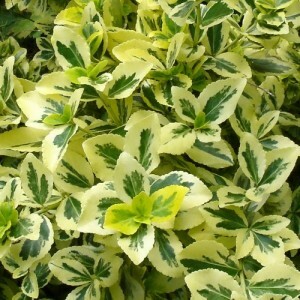 Euonymus is a sort of the evergreen bushes or undersized trees belonging to the family of Celastraceae. The wild-growing Euonymus lives in the countries with temperate and subtropical climate. Many types, thanks to their external appeal, found application in the landscape gardening culture. The Latin name was given to this plant in a honor of a mythological deity by the name of Evonyme (the mother of furies) as almost all types of the Euonymus possess poisonous properties.